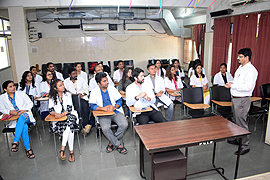 Enrolment of Master of Philosophy Course in Clinical Psychology. (i) The Degree of Master of Philosophy will be abbreviated as M. Phil. For – M. Phil. (C.P.) – M.A. Psychology (With special subject as Clinical Psychology). - Medium of Instruction : English. 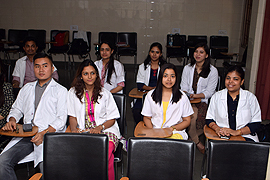 - Admission to these courses will be given through screening-test followed by interview i.e. according to merit. 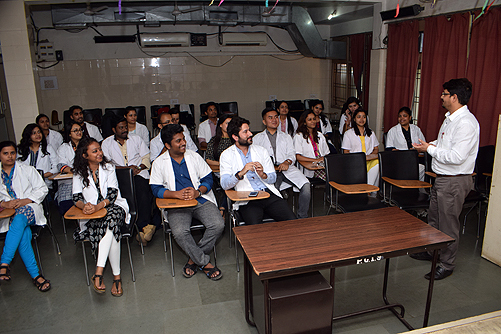 These courses come under the self-financing scheme as granted by the Para-Medical Department of Ministry of Public Health, Family Welfare & Medical Education, Govt. of Chhattisgarh. 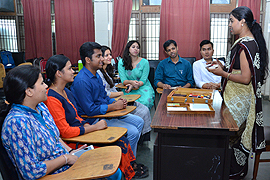 Affiliated to Pandit Ravishankar Shukla University, Raipur C.G. & recognized by R.C.I. New-Delhi. :: M.Phil. (Clinical Psychology) Course RCI Certificate of Approval to PGIBMS for Academic Session 2017 to 2022.
:: M.Phil. (Clinical Psychology) Course RCI Certificate of Approval to PGIBMS for Academic Session 2014 to 2017. Click Here to Download Application-Form 2019. 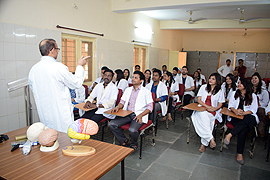 Post Graduate Institute of Behavioral & Medical Sciences (PGIBMS) offers courses at the MPhil level in Clinical Psychology. (i) Degree Certificate of M.A. in respective subject. (ii) Marks-sheets of 10th. 12th. Graduation & M.A. previous and final year examinations. (iii) At the time of interview every candidate must produce the original degree certificate of M.A., marks-sheets of 10th. 12th. Graduation & M.A. previous and final year examinations. All the original certificate will be returned immediately, after verification. Send documents addressed to “The Director, Post Graduate Institute of Behavioural and Medical Science”, Opp. Rajkumar College, G. E. Road, Raipur (C.G. ), 492001 along with Application-Form, Bank Fee Receipt and Other required documents.